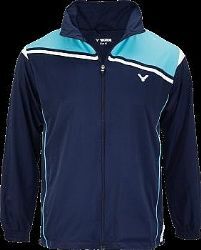 High quality sports jacket of the VICTOR team collection 2016/17. The comfortable, functional material prevents a cooldown as well as too much heat. Due to the steady fit, this jacket is easily washable and can be worn over any other apparel.